Unique Property In The Heart Of Downtown Village Of Streetsville! 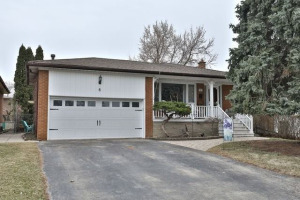 All Brick 2-Storey 4 Bedroom Home With Multi-Paned Floor-Length French Windows Allowing For Lots Of Natural Sunlight, Hardwood Floors In Formal Living, Dining And Family Rooms. Den/4th Bedroom Off Kitchen. Large Eat-In Kitchen With Side Door. Large Bedrooms. Lots Of Parking! Great Curb Appeal - Steps To Streetsville Go Train!